One of the businesses that Ariana and I have started is a wine and liquor store, called Warsaw Wine & Spirits. One of our focuses when opening the store and designing the layout was to make it easy for people to find what they were looking for. If you are a wine drinker, you can probably remember back to when you first started drinking wine and how confusing it was to understand the different types of wines. To be honest, I still struggle with this today, although not as much. Back before I worked in my father’s store, I was very intimidated by wine. I knew there was red and white and it got better with time (which is not even true for most wines), but that was the extent of my knowledge. When I shopped for wine, I looked for cool names and labels and bought solely based on that. I did not want any help because I didn’t even know what questions to ask and felt very intimidated. 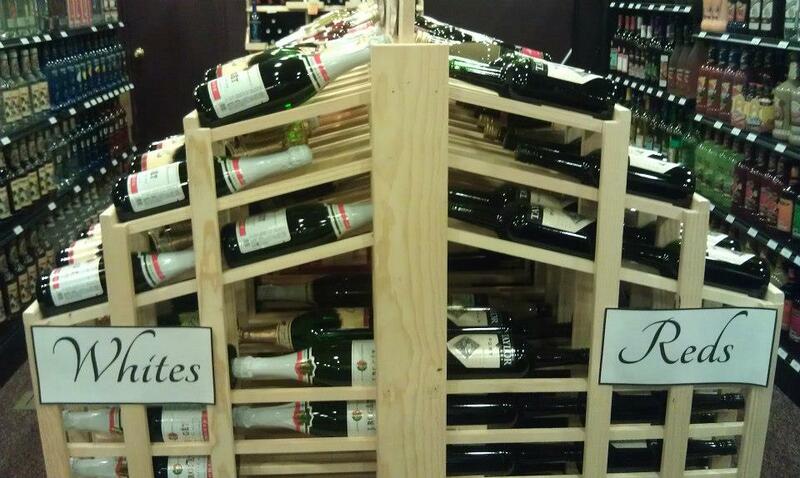 Now when I go into a store shopping for wine, I am looking to try new wines. I am looking for different countries/regions that I haven’t tried. I am looking for value wines that are very good for the money. I am looking to compare and contrast between other wines that I have had and learn more about each wine that I drink. These are two opposite ends of the spectrum and were things that we needed to consider when we opened our wine store. One of the first New York State winery’s that we carried was the ever popular Bully Hill Vineyards. As I was trying to learn more about the vineyard and their wines, I came across their shelf talkers. They were pretty basic, but after a quick look, I realized that they “spoke” to several categories of wine consumers. They listed the winery, grape type (or name in some cases), brief information about the growing conditions, food pairings and dry/sweet indicator. I also noticed many people in the store bought Bully Hill wines, because they could turn to the back of the bottle and get the same information that was on the shelf talker. This was an “aha!” moment for me. I decided to look at each category of consumer and create a shelf talker with this information in mind for every wine that we carried. In that way, we could differentiate us from any competing wine stores in the area. So I took a look at the 6 types of wine consumers and made a list of what they cared about or wanted when they were shopping for wine. Based on this criteria, we came up with the following shelf talker. It contains the country/region of the wine, the winery name, wine name, vintage, grape(s), tasting notes, food pairing recommendations, dryness/sweetness indicator and a rating (if the wine is rated). Customers can tell we truly care about giving them a great wine experience. It takes quite a bit of time and effort to sample each wine and put the information about the wine together on these cards. In the end, we have been very happy with the response of these cards. Customers are raving about how nice it is to have that information while they are shopping. 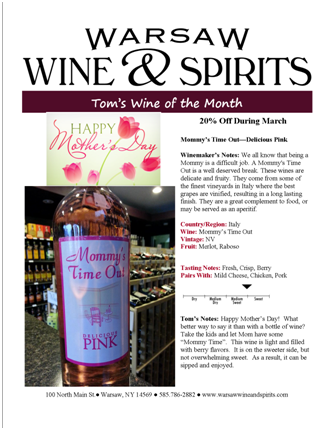 Additionally, we have seen a trend in customers browsing the store longer and purchasing more wines per transaction. We ended up using a combination of all three. First, we organized by color. We determined that most of our customers were going to first look at the wine by color, so we placed the white wines on one side and the red wines on the other. From there, we grouped wines by grape type so they would be easy to find. So within the “Whites”, we have “Riesling,” “Chardonnay,” “Sauvignon Blanc,” “Pinot Grigio,” and so on. 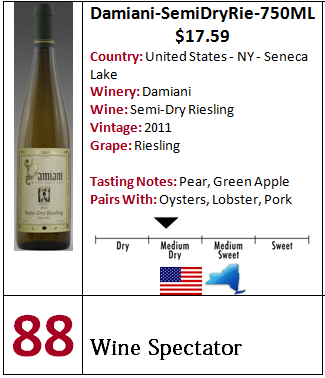 Finally, since our store is located so close to the Finger Lakes, there is a high demand for local New York State wines. We decided to pull the NYS wines out and have them in their own section so it would be easy for customers to find. Each week we receive new customers and get a lot of positive feedback. Many people really like the feel of the store. They appreciate our knowledgeable and friendly staff and all of the information we have presented throughout the store. Most of all, they love the feel. We have received numerous comments on the natural wood racks. Customers say they look much nicer than boxes stacked on the floor and some even say it feels like they are at a winery. In this post we showed a few ways that we identified our customers and tweaked our business to respond to their want and needs. In what ways have you catered your business towards your audience?